It's hard to believe we're halfway through January already. Things are really starting to amp up with the blog, styling and writing work, and as much as I've enjoyed the holidays and spending time with the kids, I'm itching to get back into the swing of things. Adding to the challenges this week of juggling work and school holidays, I've had some serious computer issues, which is why today's post is shorter than I had planned! The good news is I've decided it's finally time to invest in a new iMac, so I'll be back in business again soon! 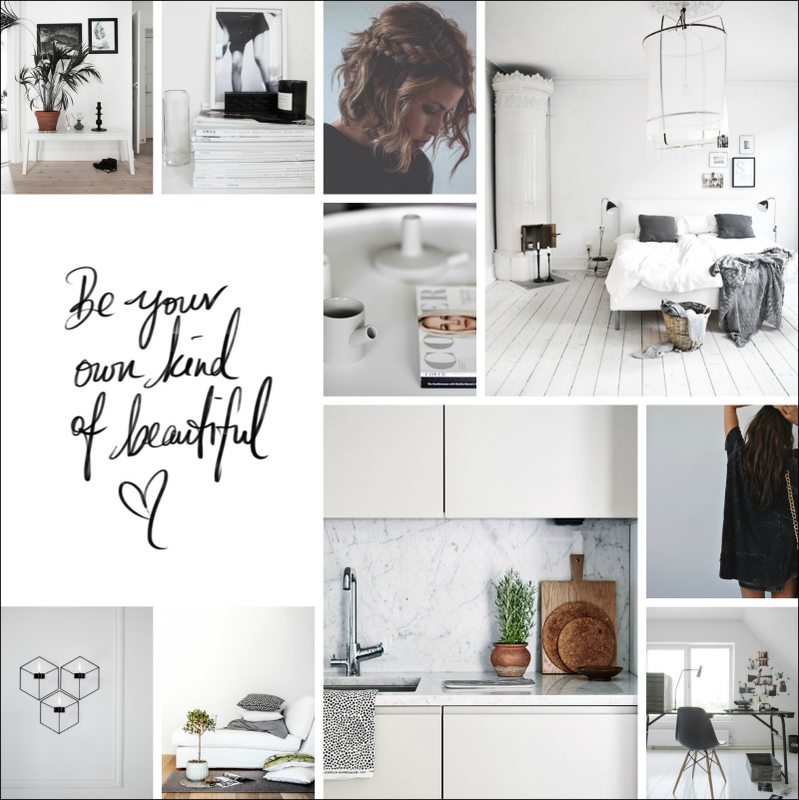 Here's some beautiful moodboard inspiration for your Friday. Don't forget to enter this week's gorgeous giveaway, if you haven't already. Have a lovely weekend and I'll see you back here on Monday. I really like this style, everything white but so warm..